I am a sixty-eight year old whitetail hunter who finally got a Pennsylvania buck that truely made me happy. The deer is a wide nine point that has a gross score of 125 5/8. 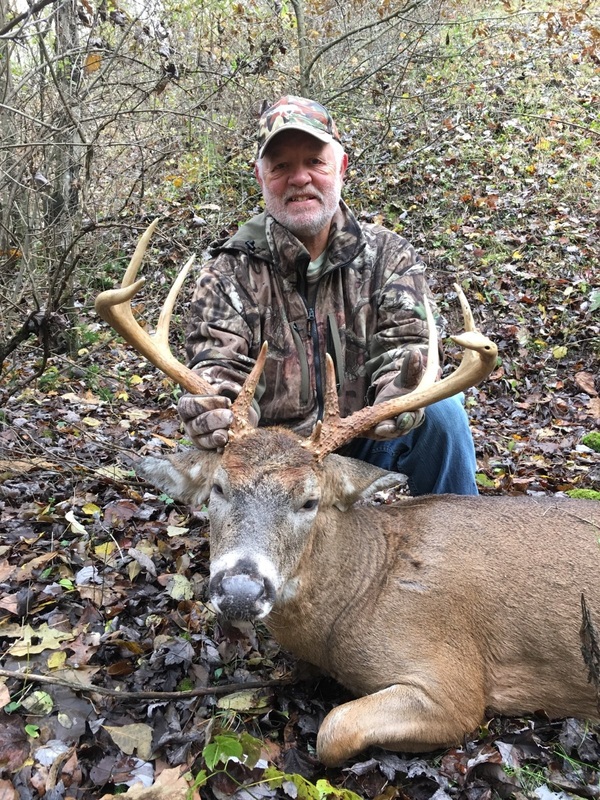 I shot this deer on Saturday November 3rd 2018 in the woods behind my house in Butler County,Pa. I made a list of thirteeen things I could do better to improve my chances for the 2018 season. Number one on the list was to buy an Ozonics unit and use it correctly. Number two was to become very accurate out to forty yards with my Horton Crossbow. 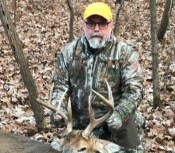 I did those things and more and after hunting hard for the first five weeks of the Pa. archery season without a shot at a buck, my patience paid off. Saturday November 3rd would be a hunting day I will not forget. I hunted the wooded ridge behind my house in the morning and shot a doe at thirty-four yards at about nine o'cloak. I returned to the same stand that afternoon. I did some soft calling and horn rattling. I rattled for about a minute followed by two loud snort-wheez calls. Within a few minutes I could see just the horns of a good buckcoming my way. He was coming directly to my tree and he was directly downwind from my ladder stand. He never acted alarmed but he did stop and look and then moved to my right. As he passed through my shooting lane, I mouth grunted him to a stop. He happened to be beside a tree that I had ranged as a forty yard marker. As he stood broadside , I lined up the forty yard crosshair on my crossbow and shot. The deer went back the way he came in at a slow run with his tail down. We had a good blood trail and found the deer at about 150 yards. To say I was happy was an understatement. In summary, a lot of things went right on this hunt. The set up was good,the calling worked and the shot was good. 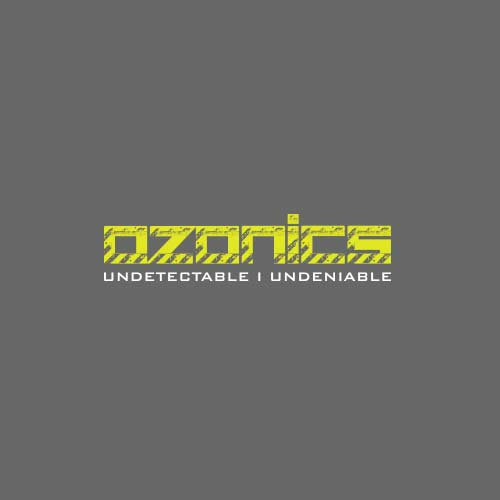 But, I truly believe that none of that would have happened without my Ozonics unit working perfect to minimize my scent at the moment of truth. 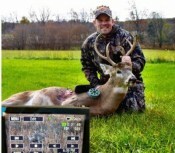 Thanks to Ozonics, I am a better deer hunter. I truly believe that none of that would have happened without my Ozonics unit working perfect to minimize my scent at the moment of truth.